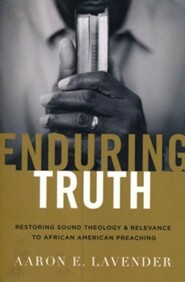 Enduring Truth argues that faithfulness to Scripture is the solution to a "crisis" among African American preaching. Though misinterpreting Gods Word is not restricted to one race or culture, author Aaron Lavender identifies three factors that have precipitated the decline of black preaching specifically: racial segregation, black liberation theology, and prosperity theology. The books first chapter recounts the history of the crisis, noting how discrimination in theological education led black ministers to liberal colleges and seminaries that prophetically confronted Jim Crow but taught the social gospel and other forms of theological error. Such schools ultimately were harmful to the spiritual health of black churches. Subsequent chapters discuss the role of biblical exegesis in preaching, develop a theology of preaching, and suggest preaching methods for the postmodern world. Every biblical text has one meaning, according to Lavender. The preachers job is to determine and communicate that meaning, then show its relevance in the cultural context of his hearers. Proof-texting and relativism, Lavender writes, are two great enemies of biblical preaching. While focused on the African American context, this volume addresses topics relevant to all preachers. 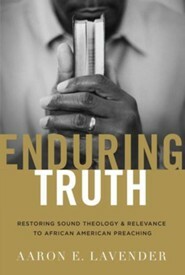 Enduring Truth is suited both for ministry practitioners and preaching courses. It will help readers elevate the Word of God over the worldly allures of any ministry setting. 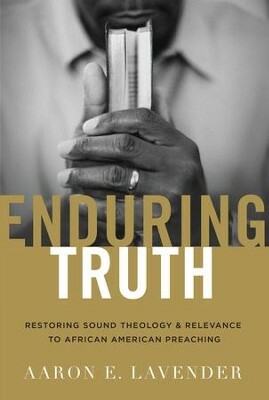 I'm the author/artist and I want to review Enduring Truth: Restoring Sound Theology and Relevance to African American Preaching - eBook.